The best part about putting together your own kits is that you know exactly what is in them, how specific gear functions, and you have a chance to try things out before needing them in the real world. 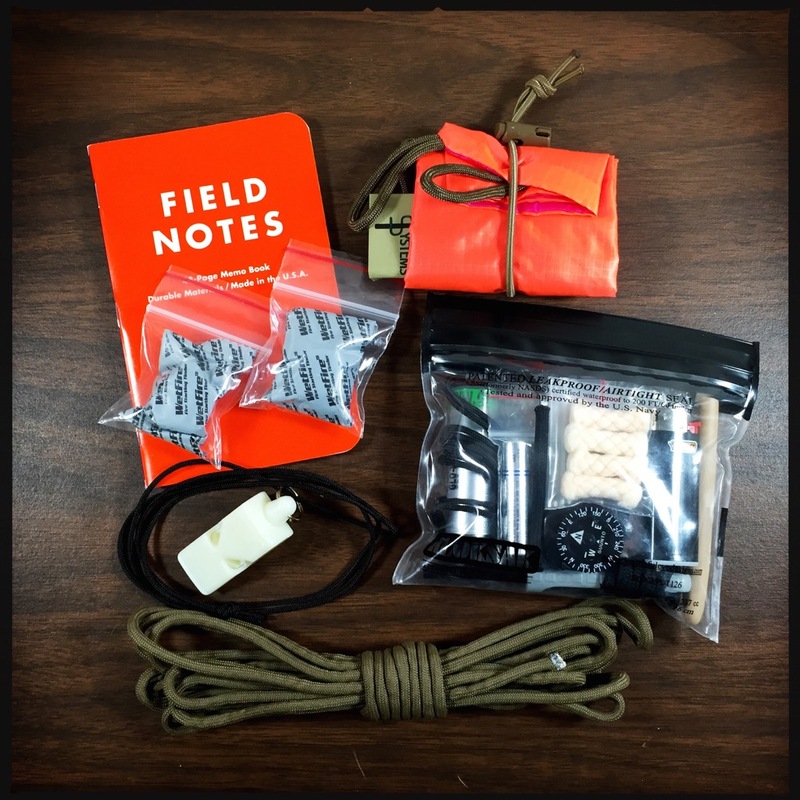 Survival kits are no exception — typically one you assemble yourself will be of a much higher quality than one grabbed from your local big-box store shelf. There are quite a few companies making small pouches that are ideal for turning into various kits such as survival, dopp, first aid, etc. My preference is to support USA-based manufacturing and gear companies whenever I can. 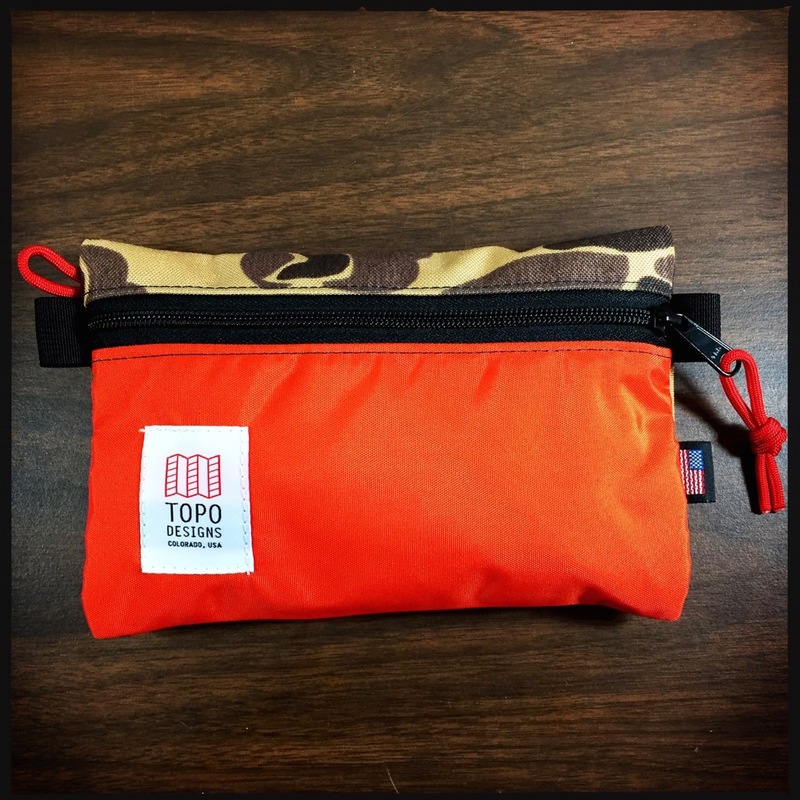 One example of this is Topo Designs — they make an excellent small (other sizes available) “Accessory Pouch” that runs about $13, which also sports a high-visibility yellow interior (perfect for finding little pieces of gear in the dark). So for about the price of a lunch at a drive-thru, you can buy something that will last nearly forever and make a worthwhile addition to your gear collection. 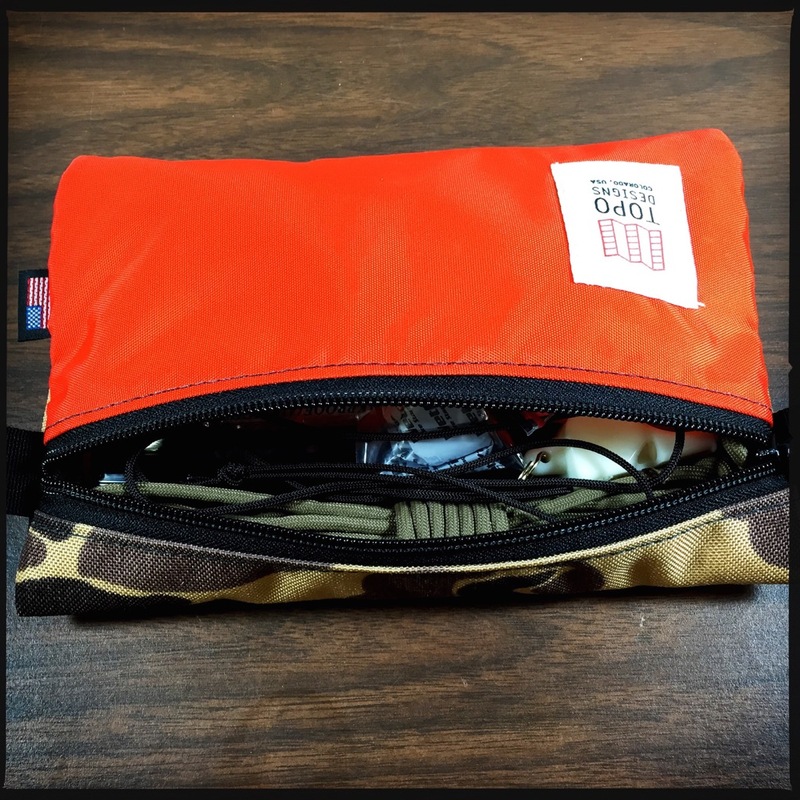 The pouch shown in this particular post has been turned into a survival kit, and is intended to be dropped into a pack and augment other gear already carried (knife, flashlight, water bottle, etc.). 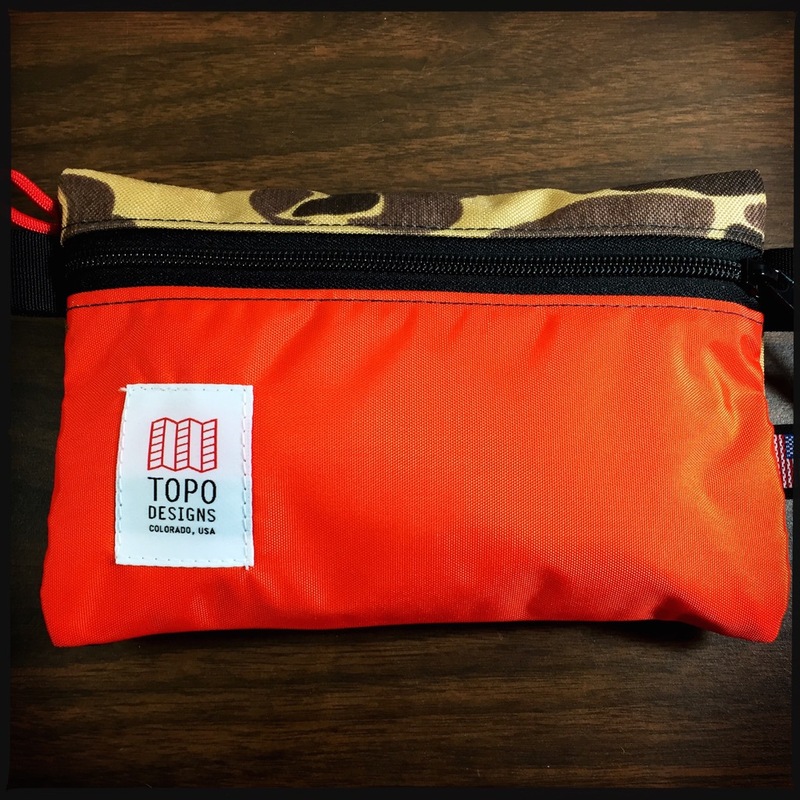 Here it is all zipped up, in its blaze orange glory — it would be pretty hard to lose this on the forest floor. Notice the handy red cord loop on one end, as well as small nylon webbing loops on each end of the zipper (which you can then loop additional cord through or even attach small carabiners, Grimlocs, Slik-Clips, etc.). And here is the pouch opened up, showing some of the contents packed away. Having a zipper that runs the full length of the pouch makes for an easy time when locating or removing gear. Here are the full contents of the overall pouch, with smaller items being stored in an Aloksak waterproof baggie. Field Notes Expedition water-resistant notebook. Battle Systems high-viz. signal panel. 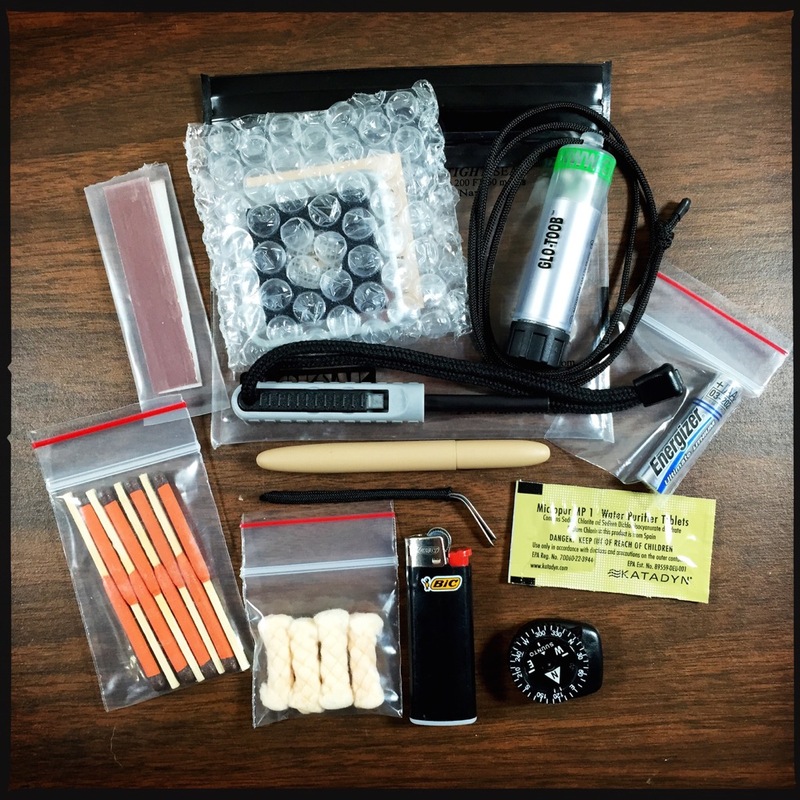 And here are the contents of the Aloksak baggie, which contains the smaller pieces of gear. REI / UCO stormproof matches. Battle Systems glass signal mirror. Glo-Toob AAA marker / strobe light (green). Katadyn Micropur MP1 water purification tablets (note: I typically carry a water bottle, so no water container here).